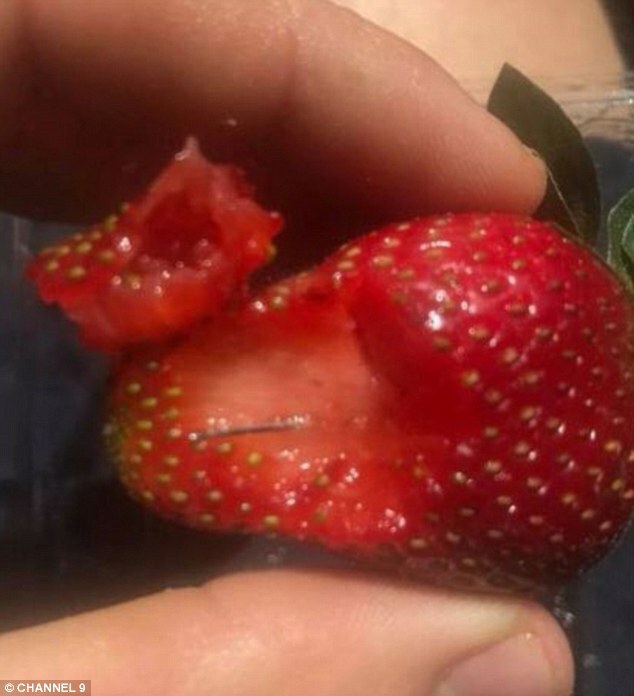 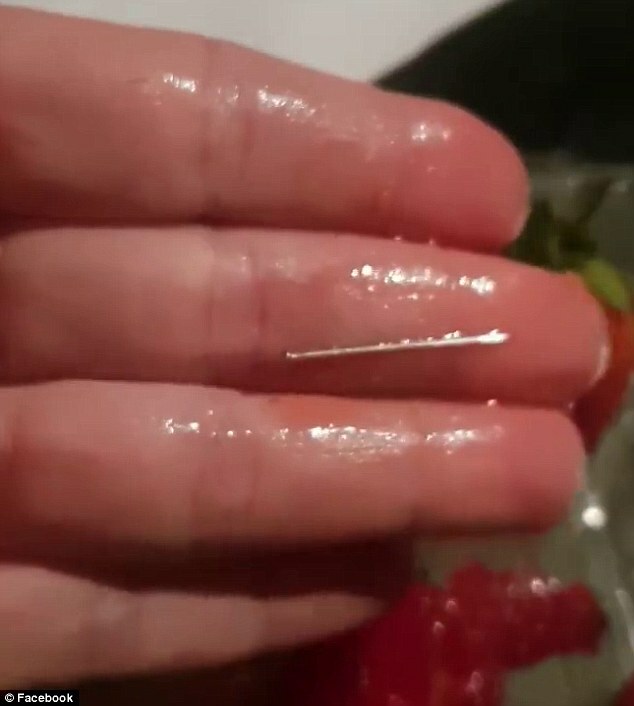 A $100,000 reward has been offered for information on the strawberry saboteur amid fears six brands across four states have been targeted with needle insertion. 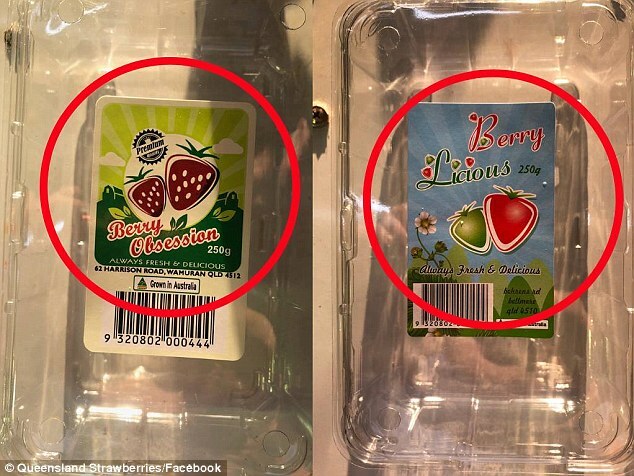 The contamination is believed to have affected the brands Berry Obsession, Berry Licious and Donnybrook. 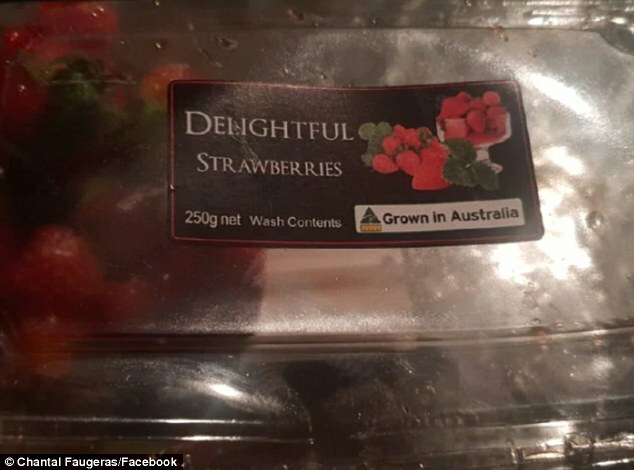 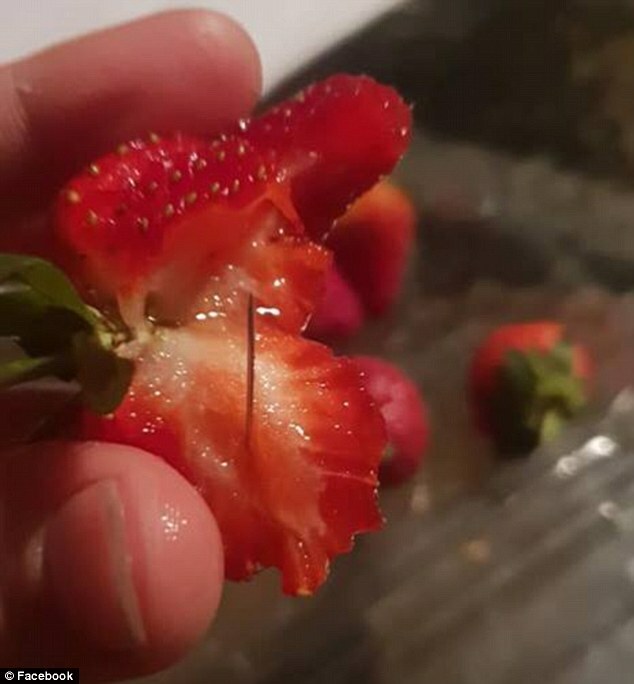 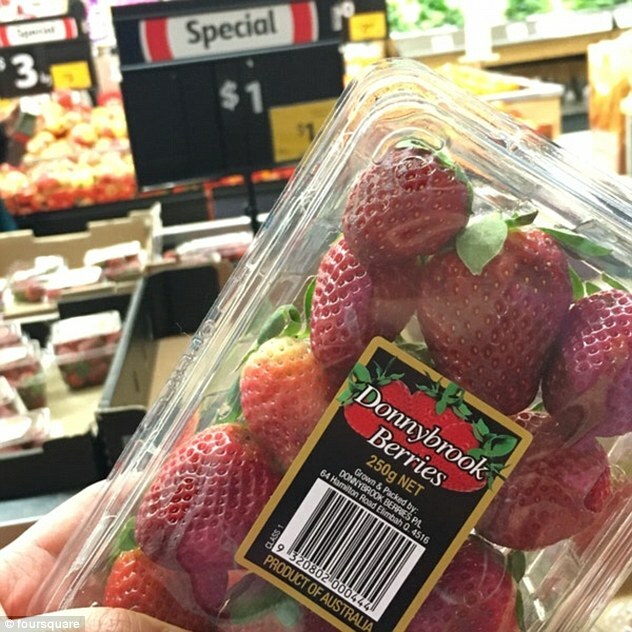 NSW police warn fruit sold under the Love Berry, Delightful Strawberries and Oasis brands were inserted with needles by a possible copycat. 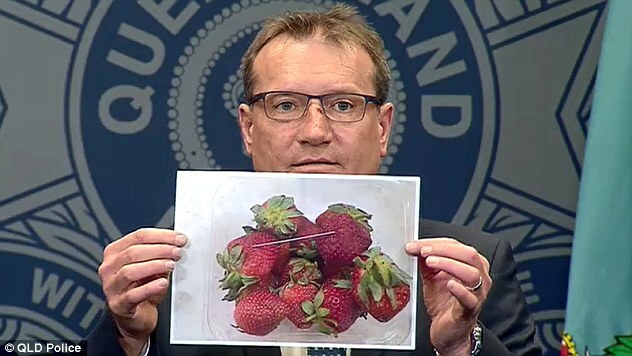 ‘We’ve got to look at this as a whole, it’s a very, very broad picture and we can’t speculate in any way, shape or form,’ Queensland Acting Chief Superintendent Terry Lawrence told reporters on Friday. 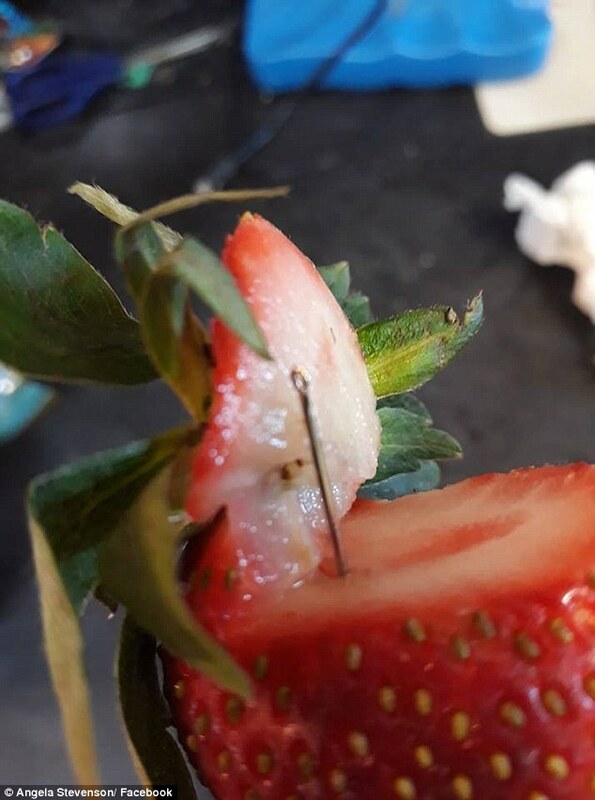 This week, a NSW mother discovered three pins hidden inside a punnet and posted images to Facebook.